Ryan McNaught is living the dream. In 2013, he quit his corporate job and now builds Lego sculptures full time as Australia’s only certified Lego professional. 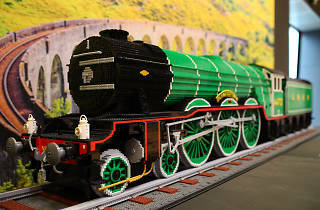 Now you can see his modular plastic masterpieces firsthand at the Brick Man Experience. Until January 28 visit the District Docklands to check out more than 40 original Lego works crafted by McNaught and his small team. There are only 14 certified Lego professionals in the world, and when you see McNaught’s work at the Brick Man Experience you start to understand why. Around five million Lego bricks have gone into the works on show, including a massive Star Wars Lego creation, a Lego Ferrari and the biggest Lego flower to ever be created. There’s a certain low-fi, chunky appeal to the works, as if McNaught has simply pulled each sculpture directly from an old 8-bit video game. 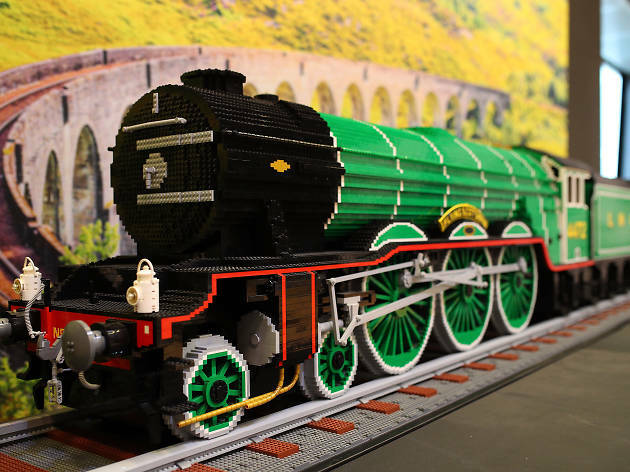 Just like Lego itself, the Brick Man Experience is an event for ages one to 100. It’s on daily (except Christmas Day) until January 28 and you can book your tickets online.